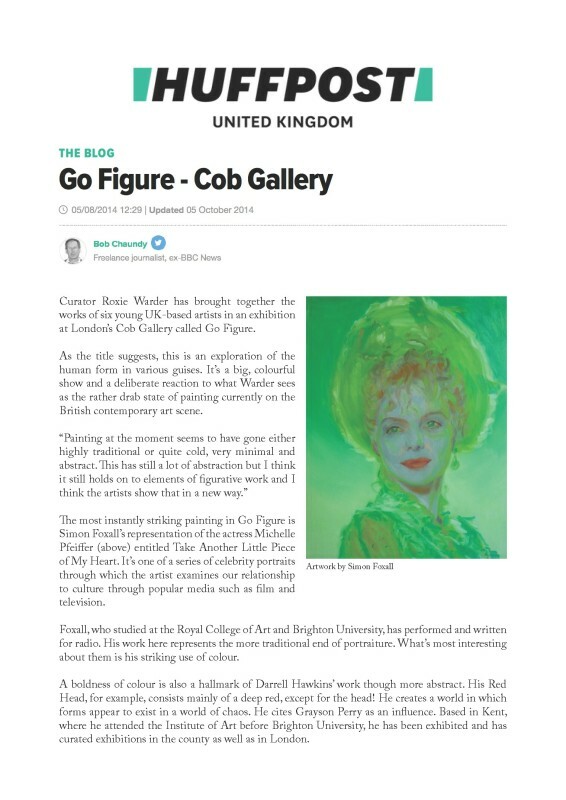 Curator Roxie Warder has brought together the works of six young UK-based artists in an exhibition at London’s Cob Gallery called Go Figure. As the title suggests, this is an exploration of the human form in various guises. It’s a big, colourful show and a deliberate reaction to what Warder sees as the rather drab state of painting currently on the British contemporary art scene.